We invite all undergraduate and graduate students of English on both campuses to submit proposals for 7-8 page papers on any topic related to English studies. Submissions should include a title and proposal describing your paper (max 300 words). Email submissions to mflegel@lakeheadu.ca by Friday March 2, 2018. 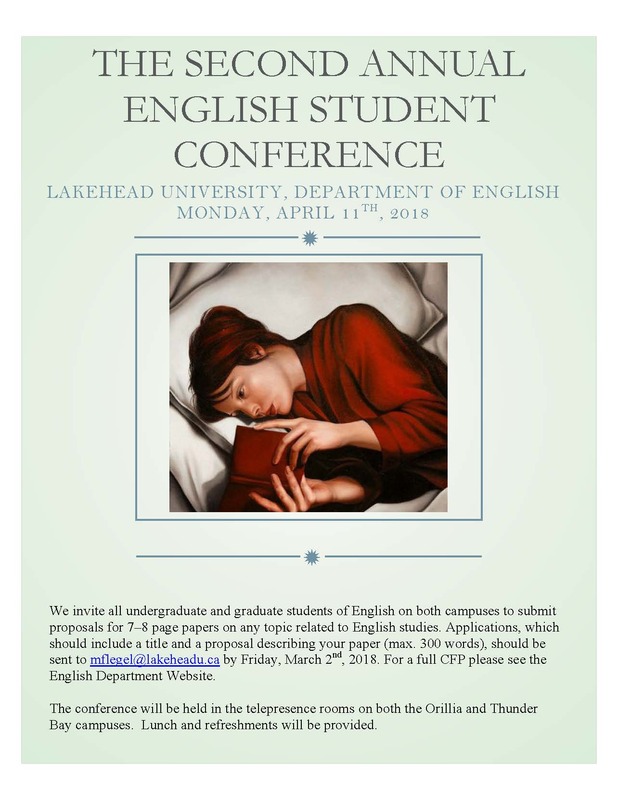 You can download full CFP details or contact the Department of English at engl@lakeheadu.ca for an e-copy.